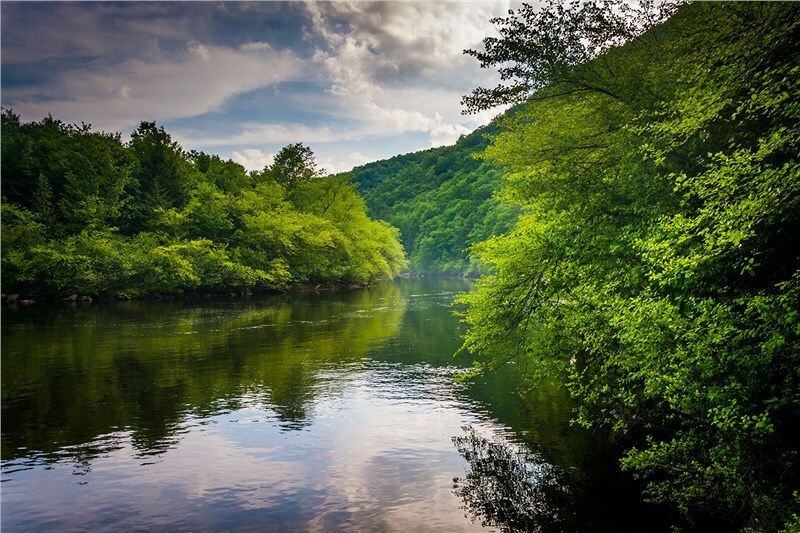 Every year, thousands of visitors and local residents travel the dozens of trails throughout the Lehigh Valley—exploring woodlands, scenic viewpoints, canals, and river ways. While there are plenty of choices in the area for taking a long hike, Lehigh and Northampton County officials are taking steps to make the entire trail network more grand by connecting trails and making an uninterrupted path from the local area to Philadelphia. The project to create this network of trails has been ongoing for over three years, and this autumn the next step was taken. Plans for the trail network, referred to as “THE LINK”, were unveiled at Canal Street Park in Northampton borough, where attendees got the first look at the development plan and new trail logo. Efforts have been slow but steady in making THE LINK a reality for residents and tourists in the Lehigh Valley, and over a year and a half ago, $750,000 was awarded to the initiative from the William Penn Foundation. This money went towards studying the most effective ways to close the gaps, as well as branding development, but local agencies still have a long way to go before the project is complete. Today, officials in the region are waiting on word from other grants and contributions to put towards closing the gaps in the trail network—including $19 million from the Federal Highway Administration that would be used to close 3.5 miles of the Cementon-Allenton gap. Additionally, the money gained would also be used to finish the Ironton Rail Trail, connect The D&L Trail to downtown Easton, and connect the trails from Plainfield Township to Delaware Water Gap. The ultimate goal of connecting the trails between the Lehigh Valley and Philadelphia is multifaceted. Officials hope that this project will encourage travel between the three main cities of the Lehigh Valley—Allentown, Bethlehem, and Easton—as well as encourage ecotourism. At O’Brien’s Moving & Storage, we fully support the initiative to beautify and connect our vibrant region, and we do our part by making it an easy process to move within the area. As a trusted Lehigh Valley moving company, we’ve been around for more than 80 years, and we offer solutions for commercial and residential moving that are fully customized and designed to fit the size, scope, and budget of your project. Whether you are staying right here in the Lehigh Valley or making a move closer to Philly, THE LINK can keep you connected and O’Brien’s Moving can help you get settled into your new home. To learn more about the services offered by our experienced Lehigh Valley movers, contact O’Brien’s Moving & Storage today! Give us a call if you’d like to request more information on our services or fill out our brief online form to set up a time for your free quote and consultation.